We all have amazing (new?) resolutions for 2018 and for me, organisation will be my WORD (not only, but still). In the last few months and even years, my Young Living business has been requiring me a pretty good amount of organisation skills, for the simple reason that I have to manage a team of around one hundred business ladies all over the world, organise online workshops + bootcamps + mentorships, and my new resolution this year : GET BACK TO BLOGGING (apparently, becoming a mom prevents you from doing several things at the same time, work wise) AND SCRAPBOOKING. WHAT'S NEW COMPARED TO LAST JULY'S POST? I realize that I am unable to handle an editorial planning or any other planning elsewhere than on PAPER. So ok I'll note down appointments doc on my phone, organise my Instagram with Planoly, but I can not really organise myself online. So finding effective paper tools is very important to me. I still forgot about Bando, although I found their agendas being a great tool, but I do not like this year's designs, like, at all. It's stupid, huh? I will probably pick one up again next year, for 2019. 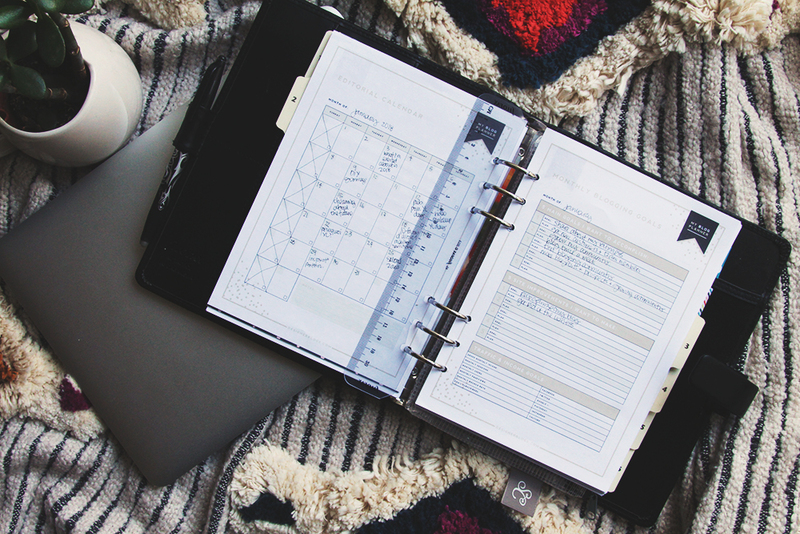 But here, guys, I have THE perfect planners to organise my different activities! I love my Filofax planners. Like, BIG TIME. 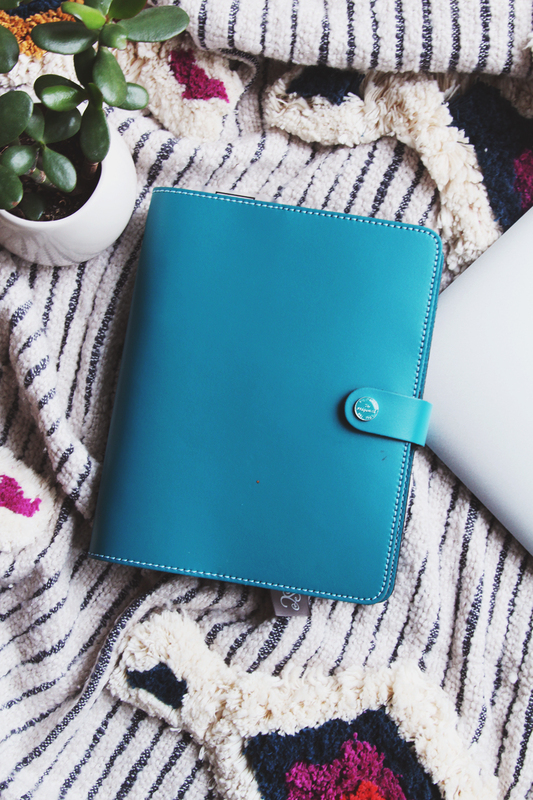 I have my black faux leather Filofax that I truely love, but Santa brought me this STUNNING REAL turquoise leather Filofax which is just perfectly perfect. And like I said in a blogpost in July, I couldn't resist diving in the Get To Work Book vibes and ordered the unbound version. And guess what? I LOVE it! So, as I love my new Filofax and my GTWB, I combined the two of them into one single planner. What I like about the Get To Work Book is the way each month "opens" : being able to see everything in one page is awesome, the goal lists, the efficient and very beautiful design, the introspection on the past month (goals being achieved or not, what can be done again or not, what's to change, think ...) : it's PERFECT for me! I do not use the weekly pages that much though, only to write my to-do lists. I use this planner mainly for my Young Living business, to keep up to date with my team, things to plan, workshops to organize, mentorships + calls, brainstorming, etc. 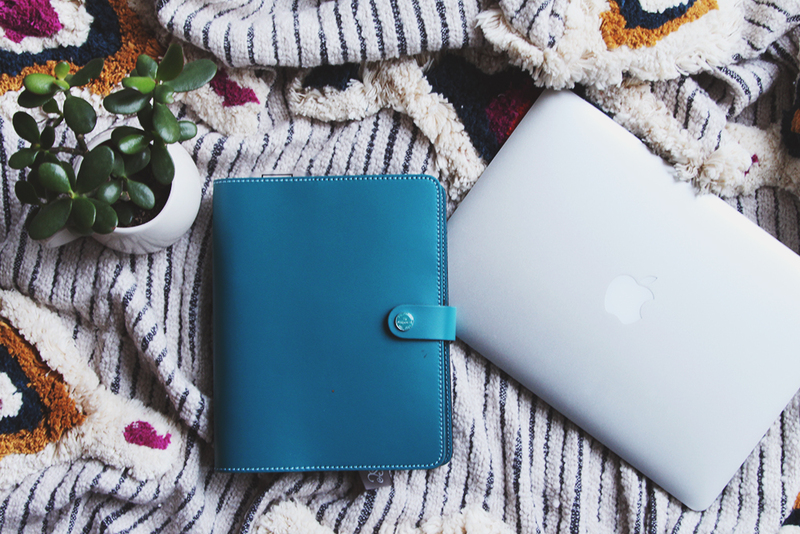 What's NOT to love about Filofax? I bought my very first bought in 2013 and have been using it every year. I love the A5 size, rather massive but yet so beautiful and need as I write a lot in it. It's a beautiful item to me. So, I got started with my Get To Work Book inside my black Filofax but I switched the GTWB to my turquoise Filofax. 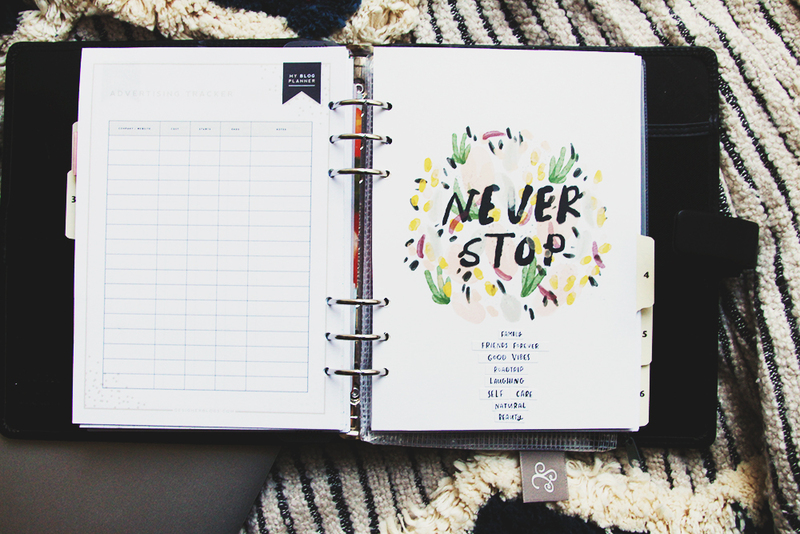 In the meantime, I was looking for a BLOGGING planner, in order to get organised around my blogging activities the best way possible. 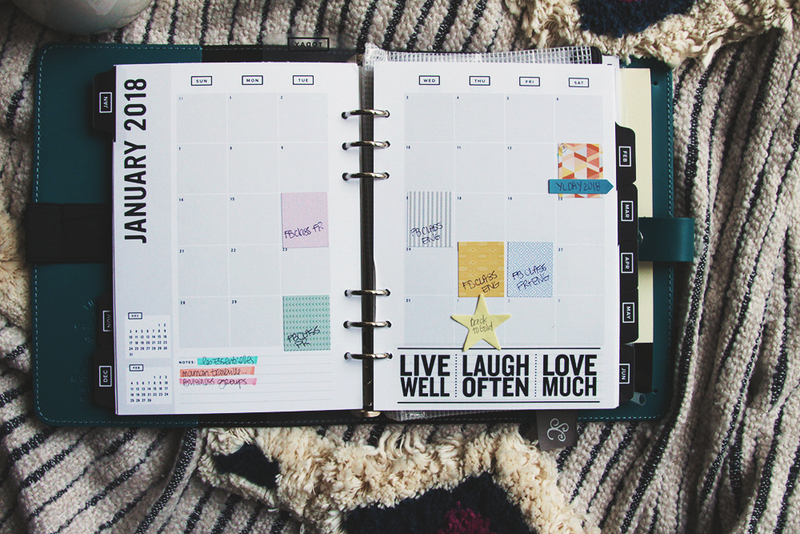 I found a GEM of a blogging planner! I had to find an alternative way around BLOGGING. 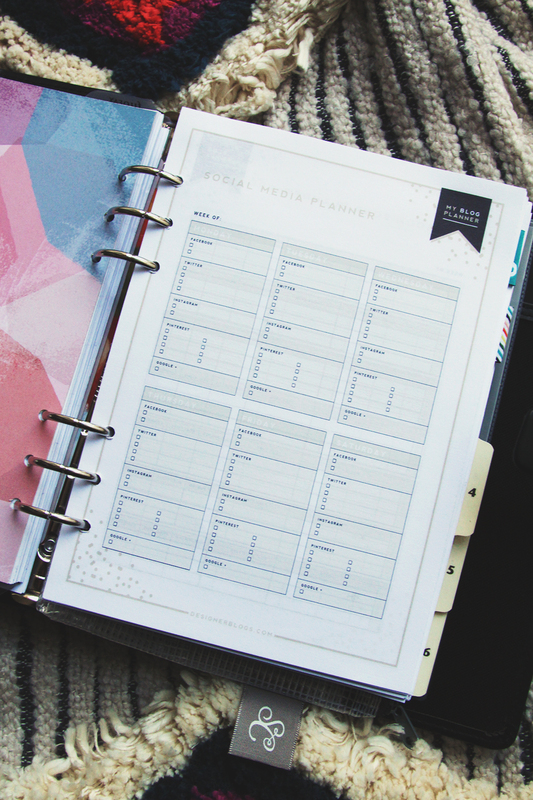 A planner that was not only a monthly or weekly agenda, but actually a planner that could provide me with concrete tools for my organisation around blogging. Designer Blogs offers a completely free version of a blogging-oriented planner, which is already great, but I also bought the extension to have tracking forms, affiliates, etc. It is just perfect! 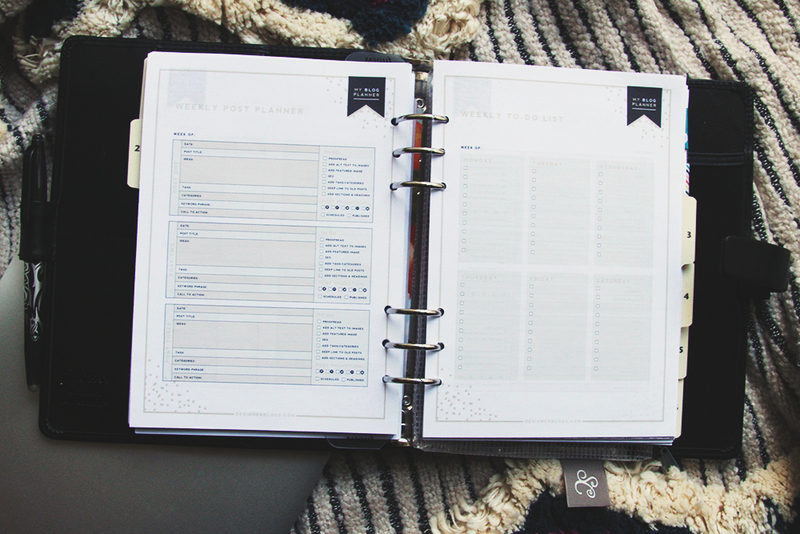 A little hard to "imagine" the way the planner will look like at the beginning, because the sheets are delivered in PDF format and free to print them as we wish, so we must already know how we want to organise, think this planner. But once we have the frame, MAKE YOUR PRINTER WARM UP! 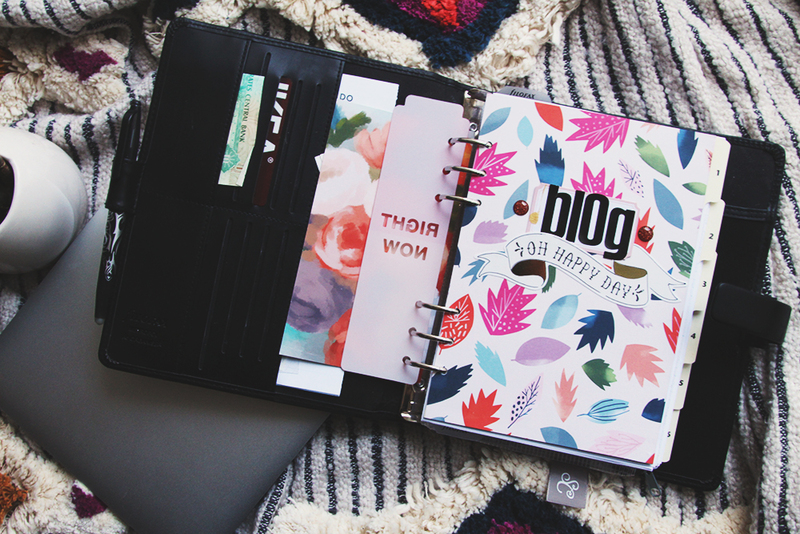 BLOGGING, SOCIAL NETWORKS, BRAINSTORMING POSTS, EMAILING, TRACKING, AFFILIATES, EVERYTHING IS IN THERE! Therefore, I took the plunge and bought their LIFE planner, also in printable version, to organise the everyday. I have printed a lighter version of the one you can find on their website because some inserts will be useless to me. 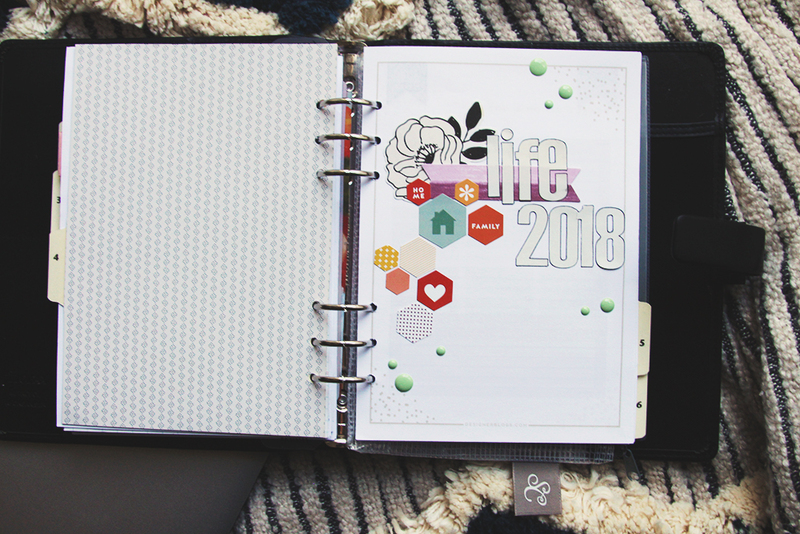 Once again, you need to know what you need to print and what's necessary And what I like about the printable planners is that you can print what you need over and over again. And, of course, I am a HAPPY Studio Calico Planner Kit subscriber! LOVE their Planner kits! I love receiving my package every month with everything I need to make my planner prettier! AH! Forgot something! I'll quickly tell you about my special Young Living planner, my Diamond Book! It is really and only oriented to keep me updated in my YL business, every day, every week! And it's just great! I use it daily with my GTWB planner. Well, I think I'm ready to ROCK IT in 2018! 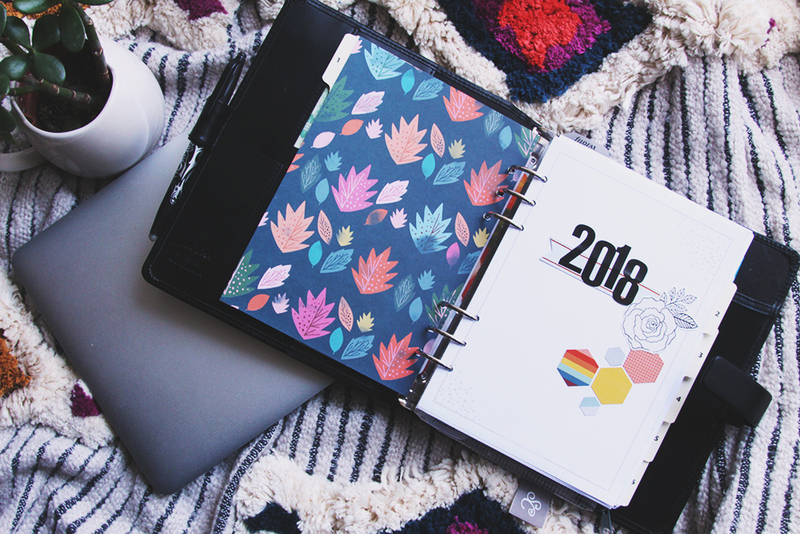 HAVE YOU PICKED YOUR PLANNER(S) FOR 2018? 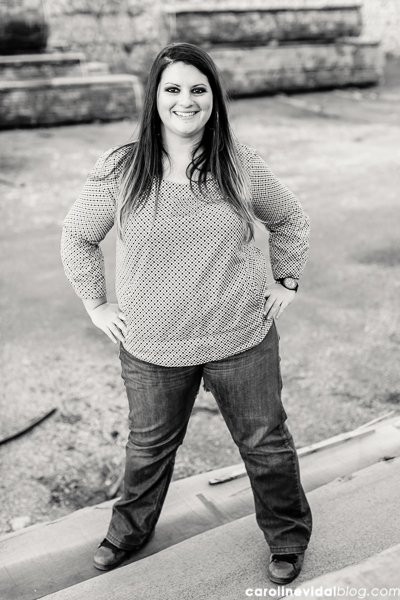 LET'S TALK PLANNERS!